Igor Fyodorovich Stravinsky (17 June [O.S. 5 June] 1882 – 6 April 1971) was a Russian composer, pianist, and conductor.He is widely acknowledged as one of the most important and influential composers of 20th century music. He was a quintessentially cosmopolitan Russian who was named by Time magazine as one of the 100 most influential people of the century. He became a naturalised French citizen in 1934 and a naturalized US citizen in 1945. In addition to the recognition he received for his compositions, he also achieved fame as a pianist and a conductor, often at the premieres of his works. He also published a number of books throughout his career, almost always with the aid of a collaborator, sometimes uncredited. 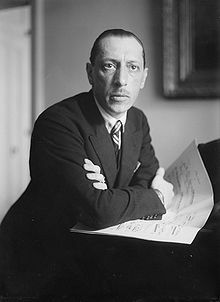 In his 1936 autobiography, Chronicles of My Life, written with the help of Walter Nouvel, Stravinsky included his infamous statement that "music is, by its very nature, essentially powerless to express anything at all." With Alexis Roland-Manuel and Pierre Souvtchinsky he wrote his 1939–40 Harvard University Charles Eliot Norton Lectures, which were delivered in French and later collected under the title Poétique musicale in 1942 (translated in 1947 as Poetics of Music). Several interviews in which the composer spoke to Robert Craft were published as Conversations with Igor Stravinsky. They collaborated on five further volumes over the following decade. Click here to view all items related to Stravinsky.